Canada, March 2019 – Centurion Group (“Centurion”), a leader in the supply of critical rental, infrastructure and support services to the energy industries, is pleased to announce that it has expanded its Drilling, Completions and Production (“DCP”) segment with the acquisition of Tango Delta Rentals (“Tango Delta”), a leading Canadian communications and speciality equipment rentals business. Operating within the Western Canadian Sedimentary Basin, Tango Delta provides an extensive range of remote communication offerings, including cell tower technologies, remote internet equipment, radio and satellite communication solutions, along with lighting solutions and other speciality rentals for the Canadian energy services industry. 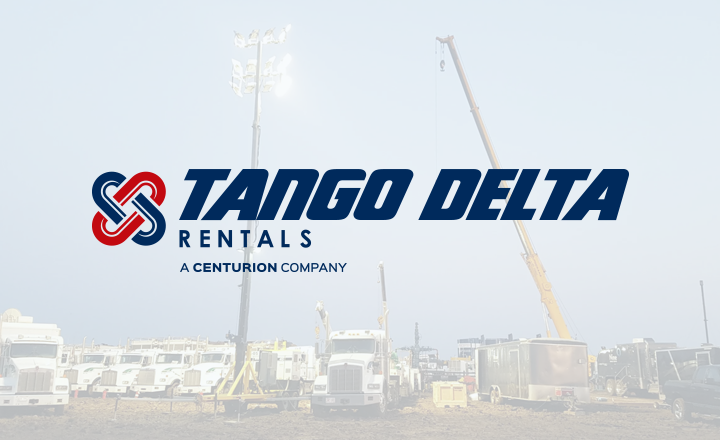 “We are excited to announce the addition of Tango Delta as it is an important part of our strategy to continue to differentiate ourselves by expanding our product and service offerings in our core locations”. Centurion is a global leader in the supply of critical rental, infrastructure and support services to the energy industries. It combines the scale and the breadth of offerings via its global segments: AMS (Accommodation & Modular Solutions); DCP (Drilling, Completions and Production equipment) and INF (Infrastructure), with strong local presences in key energy service locations, Canada, America, UK & Europe, Caspian, Australia and South East Asia, to deliver value to customers around the world.